Your purchase is protected for 30 days. Please retain all product packaging, tags, owner’s manual and proof of purchase. Bicycles: All bicycles purchased (new, preowned, consignment, or special ordered) will be final sale. No refunds or returns will be issued on bicycle sales. All down payments on bicycle purchases are nonrefundable and will be applied to the full price of the bike. Cycling Components & Accessories: All components, parts, and accessories, will receive a full refund when returned with proof of purchase in new condition within 90 days from the date of purchase. Refund will be made in the tender type originally used. All product packaging, tags and owner’s manual must be intact. 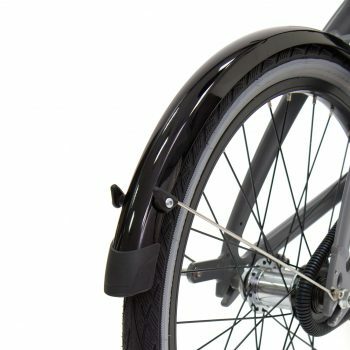 Portapedal Bike staff will assess the condition of the product and if the product is determined to be used, it will not be accepted for return or refund. Customer is responsible for all return and exchange shipping costs. Manufacturer’s Warranty: If a product purchased from Portapedal Bike has a manufacturing defect, it will be covered by the manufacturer’s warranty. Portapedal Bike staff will contact the manufacturer on behalf of the customer. The customer will be required to maintain possession of the product until the issue is resolved with the manufacturer. Note: modification of any bike may result in voiding the manufacturer’s warranty. In the case of an item with a manufacturer’s defect as deemed by Portapedal staff, shipping costs for the return will not be the responsibility of the customer. Free shipping on orders of $99 or more: Lower 48 states only. Gift cards, packaging, and taxes do not qualify toward the minimum purchase requirement. Discount will automatically be taken off at checkout. Offer and delivery times are subject to change without notice. 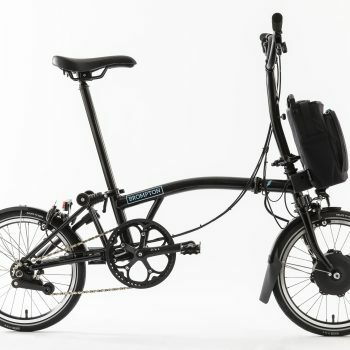 Offer excludes non-Brompton bicycles and products where a shipping charge is notated in the product description. In-store Pickup: We offer free in-store pickup for local customers. In-store pickup orders will usually be ready within 24 hours. We will notify you when your order is ready to be picked up. Shipping Times: Accessory and component orders will be shipped within 1-2 business days through either USPS or FedEx Ground. Bicycle orders will be shipped within 3-4 business days through either FedEx Ground or UPS. You will receive tracking information as soon as your order ships. Please note that tracking numbers may not be active until the following day. If you have a specific date by which your order must arrive, please contact us prior to placing your order. Note: The transit time will be determined by your location and any unforeseen weather delays.